Both the Deluxe Rental and the iPhone Rentals include 1GB of data. You can purchase an additional 4GB data bundle for a total of 5GB of data for your trip for an additional $10. This is more than enough for 99% of travelers. Data speeds are 3G. In Great Britain, free Wi-Fi may be available and both the Deluxe and iPhone Rentals allow you to access data anywhere, anytime which is convenient a Wi-Fi is not always convenient and is never secure. For just $10 more, get 5GB of highspeed data to safely and conveniently browse the web, check your emails, use Google Maps, stream videos, Skype and more virtually anywhere in the UK. 3 in 1 SIM card nano/micro/mini fits all phones! *Plan and add-ons last for 30 days from your arrival in the UK. *PLUS the price of one $39 credit bundle - 1000 outgoing US/UK minutes of call time and 1GB of data (data not available for flip phone). This bundle will be in your cart upon checkout and is necessary for your service to work. We offer several phone rentals for travelers to the United Kingdom (including England, Scotland, Wales and Northern Ireland). The rental includes unlimited calling to UK numbers, unlimited calling to the USA and Canada and free incoming calls from anywhere and 1000 text messages within the UK. International text messaging is not included which is why we recommend using an app such as WhatsApp or iMessage. You also get 1GB of included highspeed data. Not enough Data? You can add an additional 4GB of data for just $10. Please note that only the Deluxe and iPhone Rentals are data compatible. Rentals come with a local UK based phone number with the option of adding a US number. Needless to say, calling and data rates are a just fractions of what you would pay roaming with a US or Canadian cellular provider. 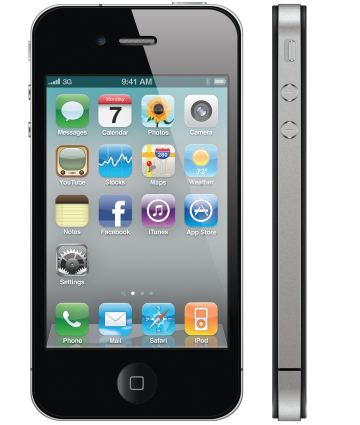 The Deluxe and iPhone Rentals include 1GB bundle of high speed data which may be enough for light browsing. However, if you plan on using maps or using other heavy data using apps, we recommend adding the extra 4GB of data for just an extra $10 to your rental. While incoming calls are always free, callers from the US or Canada would have to dial an international number to reach you on your rental phone, which can be costly. Adding a US number makes it affordable for people back home to reach you. You can even retain your current phone number simply by forwarding your current number to your new US number. For just $19. you can add 360 minutes of incoming calls on a US number. The US number is in addition to the UK number that comes with the rental. This added feature is available during check out. YouYou can use your UK cell phone rental anywhere within the EU for no extra charges. The only requirement is that you initially use the phone rental in the United Kingdom before traveling elsewhere. Your plan will not change. Here's how our rentals work; select the departure date and the return date for your trip. If you only need to make and receive calls, we recommend our Standard Rental. If you need to check emails, use Google Maps, browse the web and other activities associated with data, you will need to select a Deluxe Rental or an iPhone Rental. If you are used to an Android phone, we recommend renting the Deluxe phone. If you are used to the iPhone, we recommend renting that model. All phone rentals will add $29 for the unlimited calling. The Deluxe and iPhone rentals include 1GB of data. You can add the extra 4GB of data in the cart. All rentals include chargers and plug adapters, a carrying case and return shipping label. If you need to add more data and/or a US number, you can do so during checkout or when ordering by calling our order hotline at 1.800.287.5072. How Do Cellular Abroad Rates For The United Kingdom Compare To Your Current Carrier? ** This is NOT a typo. Sprint's rates are $10 per mb (5GB =5000mb). Important! If your trip to the United Kingdom is for two or more weeks, please consider purchasing one of our UK packages. Our entry level packages costs about the same as renting a cell phone for two weeks. As our phones are unlocked, they also work with other SIM cards and therefore, you will never have to rent a phone again! You can order as far in advance as you like - even months prior to your departure. We will ship your rental at the appropriate date in order for you to receive it prior to your departure. Rentals are shipped ground or express service and will arrive 2 business days prior to your set departure date. Along with your rental you are purchasing an initial $29 credit voucher which will give you 1000 outbound minutes of calling anywhere within the UK, Europe and back to the US and Canada. This will also give you an initial 1GB of data if you rent the Deluxe or iPhone Rental. $29 for initial talk-time voucher (1 per phone) plus any optional add-on. Does the cell phone come with a charger and plug adapters? That depends on the international long distance rates charged by their Long Distance Company or international calling card. We recommend adding the optional US number add-on.